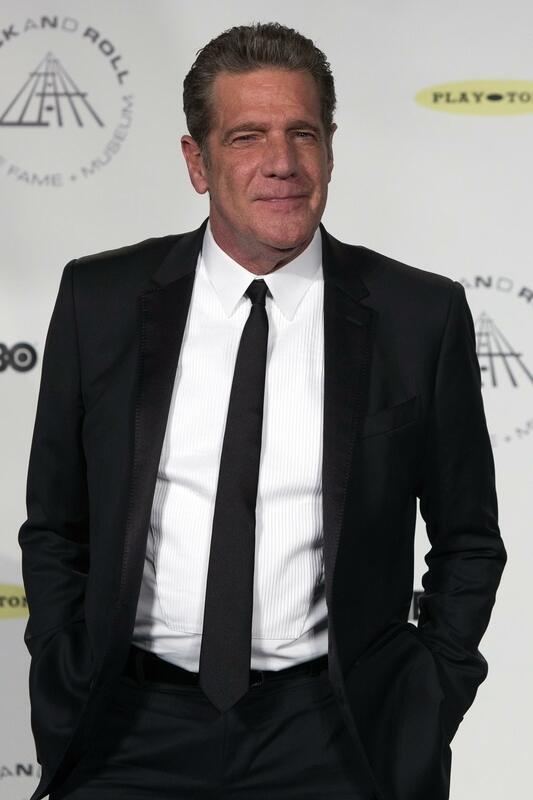 Glenn Frey, a founding member and guitarist of the Eagles, has died at 67. "Glenn fought a courageous battle for the past several weeks but, sadly, succumbed to complications from Rheumatoid Arthritis, Acute Ulcerative Colitis and Pneumonia. The Frey family would like to thank everyone who joined Glenn to fight this fight and hoped and prayed for his recovery. Words can neither describe our sorrow, nor our love and respect for all that he has given to us, his family, the music community & millions of fans worldwide." The family also thanked fans for their support, and posted the lyrics to the Eagles song "It's Your World Now," which was co-written by Frey. The lyrics include, "Be part of something good; leave something good behind." Frey was born in Detroit and was raised in its suburbs. His solo hits include "The Heat Is On" and "Smuggler's Blues." An Eagles greatest hits collection from the mid-1970s and "Hotel California" are among the best-selling albums in history. Bandmate Don Henley said, "He was like a brother to me ... We were two young men who made the pilgrimage to Los Angeles with the same dream: to make our mark in the music industry -- and with perseverance, a deep love of music, our alliance with other great musicians and our manager, Irving Azoff, we built something that has lasted longer than anyone could have dreamed. But, Glenn was the one who started it all. He was the spark plug, the man with the plan. He had an encyclopedic knowledge of popular music and a work ethic that wouldn't quit." Frey underwent surgery in November. The Eagles were supposed to play at the Kennedy Center Honors on Dec. 6, but canceled because of Frey's declining health. At the time, the band released a statement saying Frey "has had a recurrence of previous intestinal issues, which will require major surgery and a lengthy recovery period." Frey co-founded the Eagles with Don Henley, Bernie Leadon and Randy Meisner in 1971, releasing their first studio album, "Eagles," in 1972. When "60 Minutes" correspondent Steve Kroft asked Frey the secret to the band's staying power, he answered, "Take It Easy, Witchy Woman, Peaceful Easy Feeling, Desperado, Tequila Sunrise, Already Gone, Best of My Love, One of These Nights, Lying Eyes, Take It to the Limit, Hotel California, Life in the Fast Lane, New Kid in Town, I Can't Tell You Why, The Long Run, Heartache Tonight." He said that even after the band's rough patches, the members remained friends. "You know, we're in business together. We're in the business of song - we will forever be associated. You know, we might as well get along," Frey said. "You know, because there's no getting away from each other." Frey co-wrote and sang most of the band's hits, like "Take it Easy" and "Hotel California." The band won six Grammys. After the Eagles broke up in 1980, Frey embarked on a solo career, releasing "No Fun Aloud" in 1982. Frey found success with several Top 40 hits, including "The Heat is On." The Eagles reunited in 1994 and released an album in 2007, called "Long Road Out of Eden," which opened at No. 1 on the Billboard charts and went platinum. Frey said of recording new music, "Well weren't gonna, we were gonna be done. We'd been the guardians of the Eagles legacy for some time now and I wouldn't wanna have it end - you know you're just sort of doing a caricature of yourself, your just doing a tribute to yourself. We either had to fold our tent or make a record. And fortunately, and I'm so glad we did, we decided to make a record." After "Long Road Out of Eden," Frey recorded another solo album, called "After Hours" in 2012.